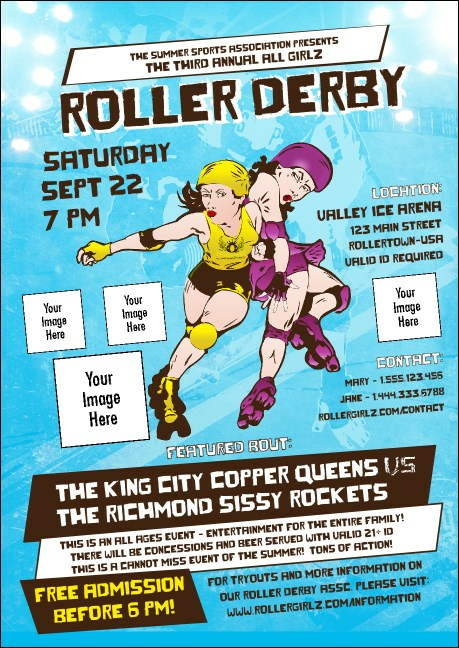 If your fans love suicide seats, then make sure they know where the big bout’s going down by sending them personal Roller Derby Jammer Invitations. Show no mercy with a flashy bright blue background and two cartoon dames doing battle for the lead. With space to upload four images, these Invitations will help you roll your way to epic advertising. Sock it to ‘em with derby-themed Event Kits TicketPrinting.com.